Let me share some brief words from my father, Jaan Laaman, who is in Walpole state prison in Massachusetts. My father was Richard’s life long comrade and friend. I truly wish I could be physically there with all of you right now, but I am pleased and honored to be able to participate in this event with the help of my son Rick. 2005 ended with some real losses. First the murder of Filiberto and soon after the death of Richard. My brother Richard was a dedicated anti-imperialist, and a solid Marxist and Maoist. But he was most inspired by the words and life of Che Guevara. Richard’s own life came to embody the true principles of revolutionary international solidarity – of Proletarian Internationalism. He always recognized the key role that the Puerto Rican Independence struggle played in the overall freedom struggle in the United States. 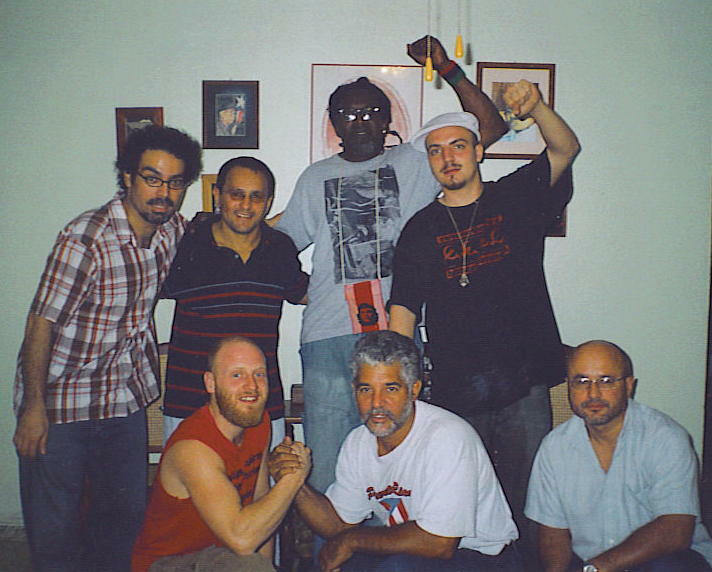 Richard Williams was a true friend and ally of the Puerto Rican revolution. Today, as I join with all of you in sending my love and salute to Richard, let me clearly state that Richard’s firm support for Puerto Rican liberation and Filiberto’s life long dream and mission of an independent socialist Puerto Rico, will surely come to be, because we are all here to carry on the dream and the struggle!